Boise, ID (11/20/18) – A holiday Giving Tree has been set up for donations to the Children’s Home Society in the Boise Towne Square Mall near Santa’s workshop through the holiday season. As part of the Boise Chamber of Commerce’s Leadership Boise program, groups work on a service project with a local nonprofit. A group of 9 local professionals, called the “Treasure Valley Family,” is working with Children’s Home Society to increase visibility of and fundraising efforts for the organization. The Children’s Home Society Giving Tree features ornaments with statistics about Children’s Mental Health in Idaho and an easy-to-use QR code for donations. Just take a picture using your phone’s camera feature or a QR code reader app. Just $10 can make a big difference in a child’s life. The Treasure Valley Family will also be hosting two Holiday Coloring sessions on December 8 and December 15 from 1-3 pm. Holiday coloring pages, crayons, markers, and stickers will be provided. The coloring stations will be set up near the Giving Tree, located in the center of the Boise Towne Square Mall near Santa’s Workshop. Idaho ranks 50th in the country for providing Children’s Mental Health Services, and Children’s Home Society is working to improve that statistic by providing quality mental, emotional, and behavioral health care services to more than 100 children and their family members everyday. No one is turned away, regardless of their ability to pay. 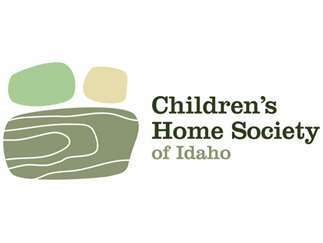 A donation to Children’s Home Society will help one of nearly 1,800 Idaho kids get access to quality counseling services at Children’s Home. Leadership Boise (LB) has, and continues to seek, the most energetic and engaged leaders in the Treasure Valley. As one of the longest running Chamber-sponsored leadership programs in the United States, Leadership Boise has graduated more than 1,500 rising and established leaders since its inception in 1975. Participants who are accepted to the program on an annual basis attend monthly, day-long sessions about relevant and pressing topics that affect and impact living and working in Boise. Our leaders extensively examine the past, present, and future of the Boise Metro area. Through the intentional curriculum and sessions, our leaders benefit from hearing a variety of perspectives and developing a foundation to expand their leadership in the community. Children’s Home Society provides mental, emotional, and behavioral health care services to more than 100 children and family members each day. Through counseling and therapy our goal is to help our clients develop coping skills, attitudes and positive experiences necessary to succeed in educational settings and lead happy, healthy, and productive lives. As one of the most experienced outpatient providers of behavioral health services, Warm Springs Counseling Center (WSCC) serves thousands of children and families every year.